This conversion kit enables left handed people to operate the SSG24. The kit includes all necessary parts for the conversion from right to left hand operation. The product comes with a CNC aluminium bolt handle and a receiver backpiece as well as an easy to follow video guide which shows you how to install the kit in 3 easy steps. You will only need a set of allen keys. Both the bolt handle and the receiver backpiece are made of CNC machined aluminium. 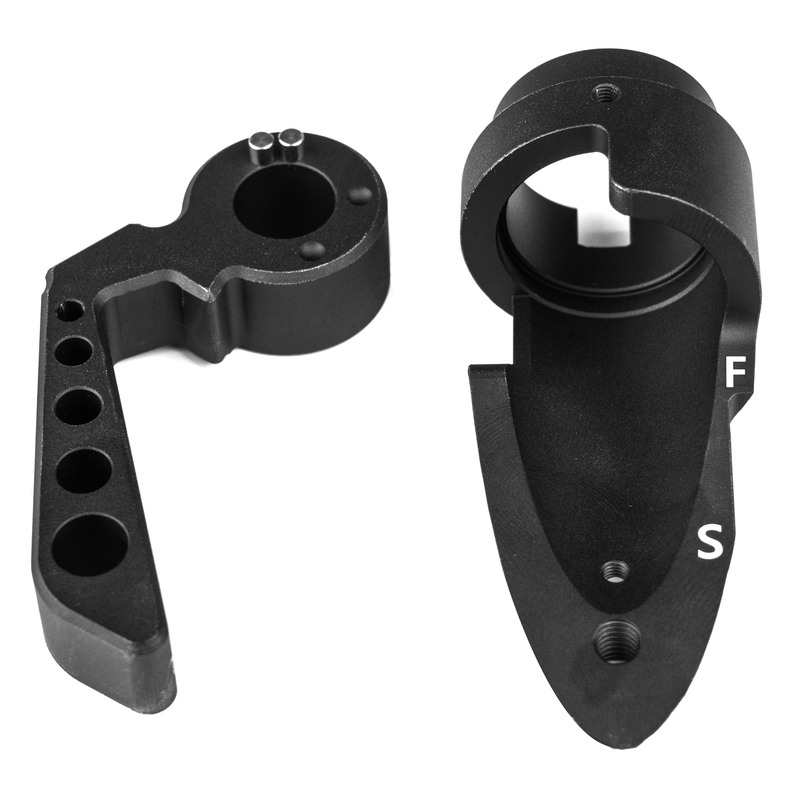 The parts are oxidised in a matt black to fit the finish of the SSG24. 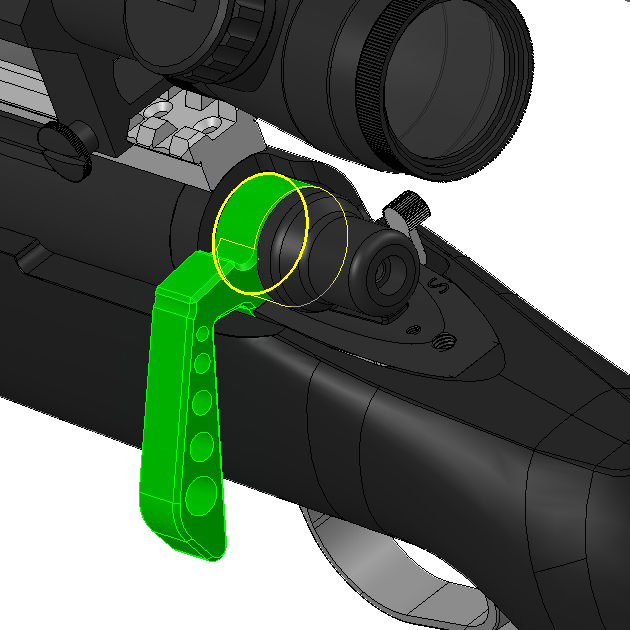 All edges are with a 45°chamfer to ensure comfort even when charging a M190 spring. The kit is designed to ensure a smooth operation for the left handed user. When flipped down, the bolt handle has a very low profile to make sure you don't get tangled up when moving through the field. 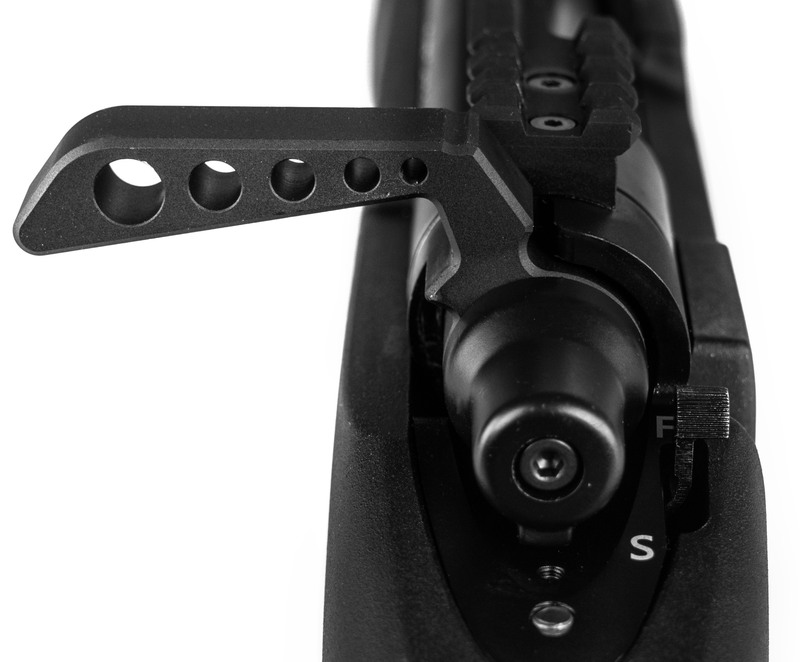 In the upward position the handle has a 95° angle, which allows plenty of space for your hand between the gun and scope for a smooth and fast bolt pull. 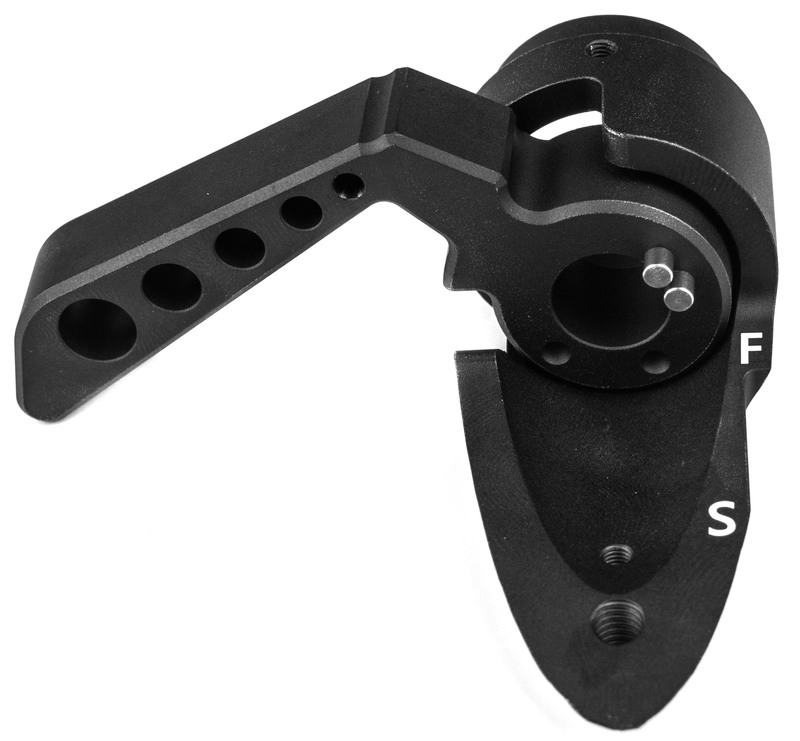 Unlike some other left hand conversion kits on the market - the SSG24 kit is designed that it locks the bolt into place when the handle is flipped down. This ensures a consistent cylinder position which results in consistant BB placement inside the hopup. The backspin will be the same with every shot just like on the right handed version of the SSG24.